I have already completed a detailed guide discussing how poppy seed tea is made, so I decided to make a condensed poppy seed tea recipe for more experienced individuals or people that don’t need all of that detail. If you follow the recipe below, you will end up with great poppy seed tea. If you need more details, check out the more detailed guide. I created this recipe for people new to poppy seed tea. Experienced users may want to increase the amount of poppy seeds and water used in the recipe below. This post is for informational purposes only, I do not suggest growing or ingesting poppy plants in any form. It is dangerous and can lead to possible addiction. If you would like to learn more about this Poppy Seed Tea Recipe, check out my new book! It includes detailed methods for making poppy seed tea, in addition to the benefits and effects. This is a great way to support the PSTR website and help it grow! You can click the link below to purchase the book, or click the image above to learn more. I appreciate your support! Note: The current price is limited to the first 10 customers. This is to reward the first people that purchase the book. Step 1: Take two cup of unwashed poppy seeds and use funnel to pour it into the empty Gatorade bottle. Step 2: Pour two cups of cool water into the Gatorade bottle. The temp should be around the temperature of your fridge. Step 3: Pour one teaspoon of lemon juice into the container. 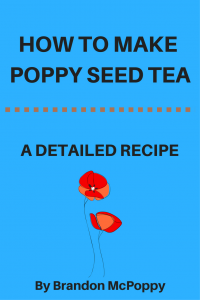 To see the rest of this simple guide for making Poppy Seed Tea, check out my latest Poppy Seed Tea Recipe Book. It includes two methods for making poppy seed tea. This is the primary way to support this website. I appreciate your contribution! You can learn more about this guide by clicking the picture above, or you can click the link below for purchase. You can also help support this community without spending an extra penny. If you are planning on buying something (literally anything) on Amazon, click one of the Amazon links above or on the side of this page before making your purchase. This website will make a small percentage of your total purchase price for any items purchased within 24 hours of clicking the link. You can purchase anything on Amazon, it doesn’t have to be something advertised on this website. I sincerely appreciate your support, it helps me dedicate a sufficient amount of my time to enhance this free resource! You can read more about these seeds on my Sincerely Nuts Poppy Seed Review. You can help support this community without spending an extra penny. If you are planning on buying something (literally anything) on Amazon, click one of the Amazon links on this page before making your purchase. This website will make a small percentage of your total purchase price for any items purchased within 24 hours of clicking the link. You can purchase anything on Amazon, it doesn’t have to be something advertised on this website. I sincerely appreciate your support, it helps me dedicate a sufficient amount of my time to enhance this free resource! The primary way to support this shop financially is by purchasing my eBook. Click the button below to purchase, or you can click the book picture to learn more. Follow us on Facebook and Twitter to stay current on everything related to Poppy Seed Tea! 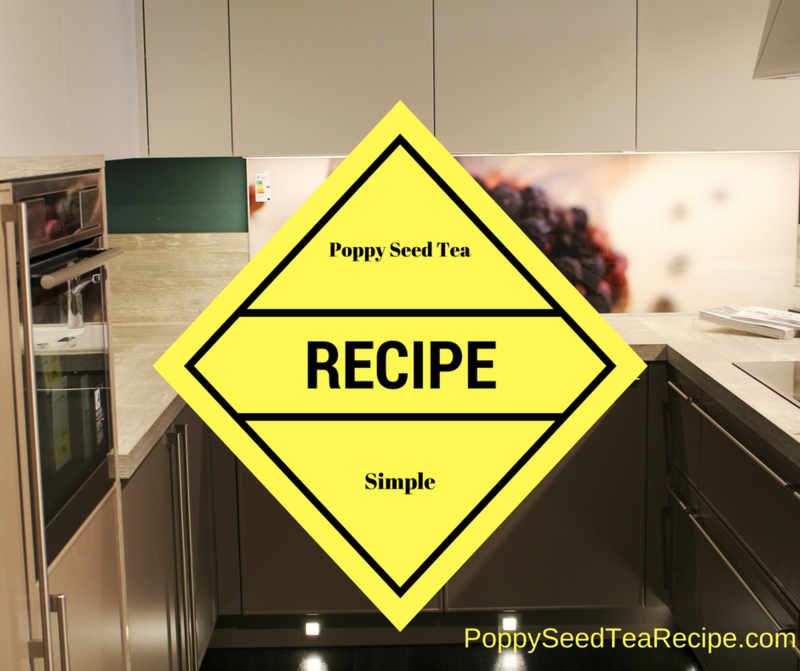 Do you have another simple poppy seed tea recipe? Feel free to leave comments below.